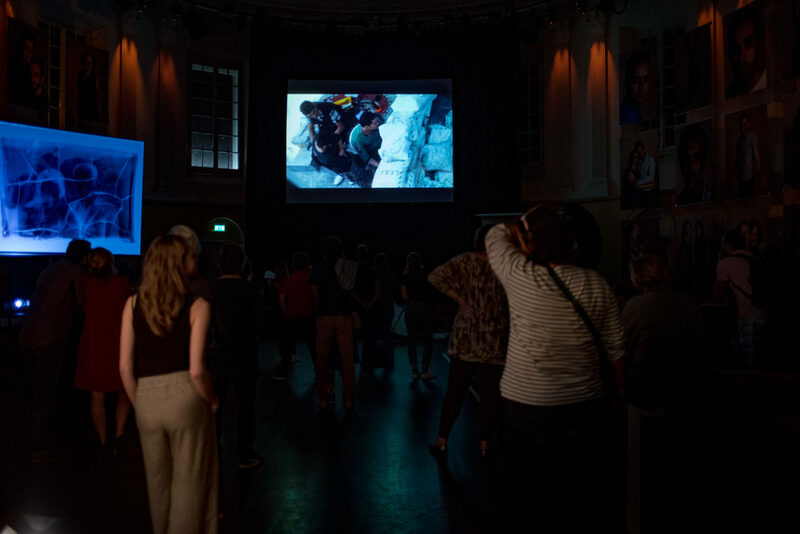 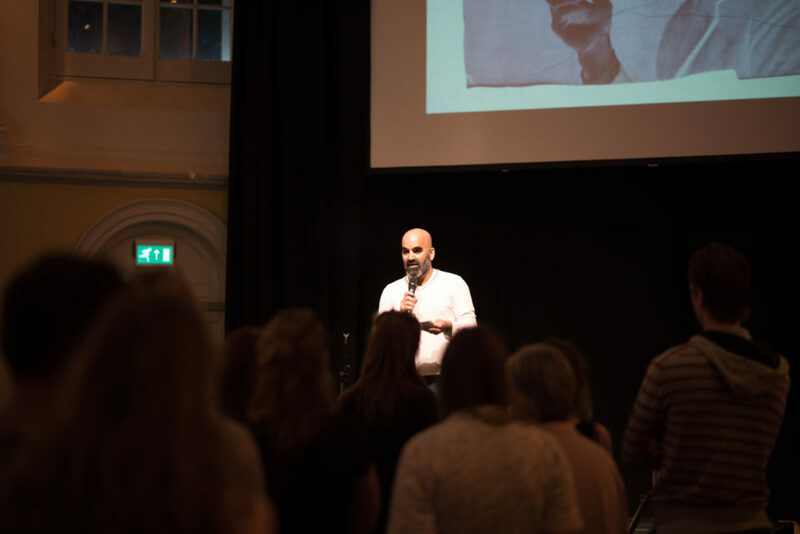 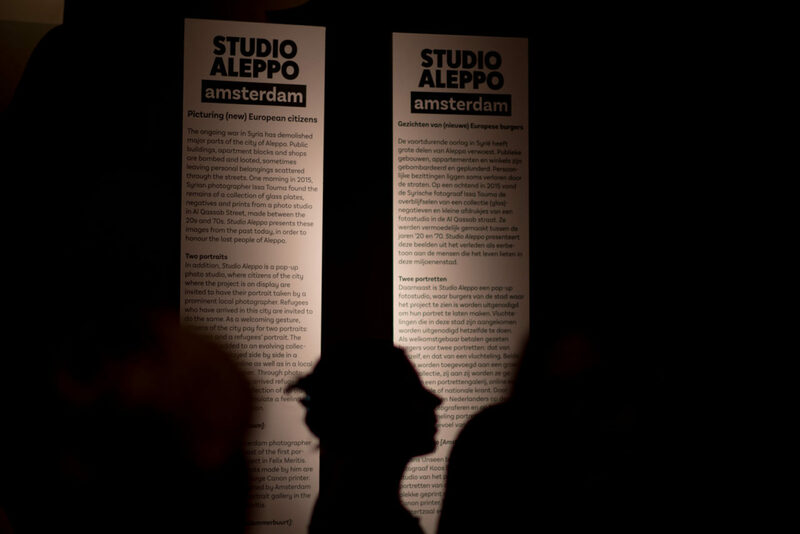 Thank you all for a great kick-off of Studio Aleppo in Felix Meritis, Amsterdam! 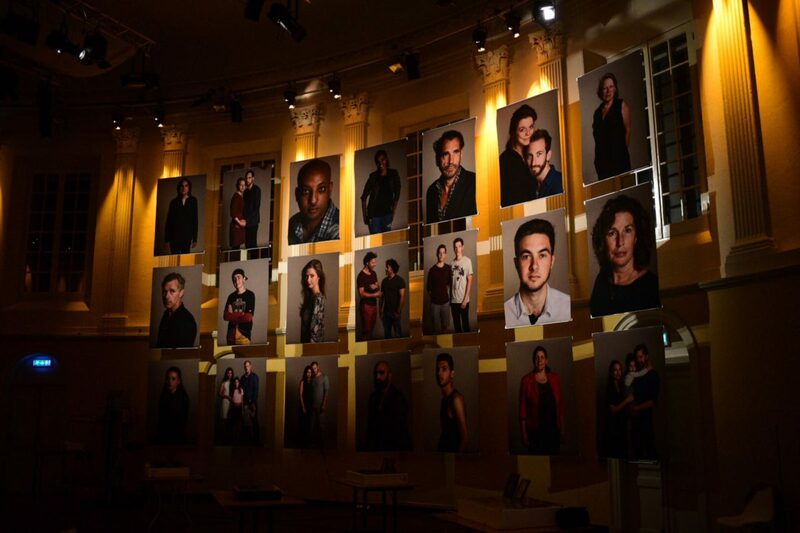 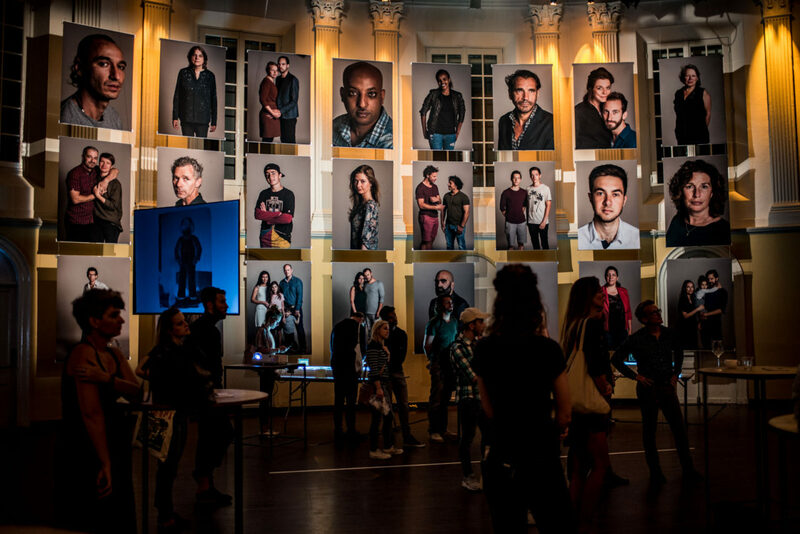 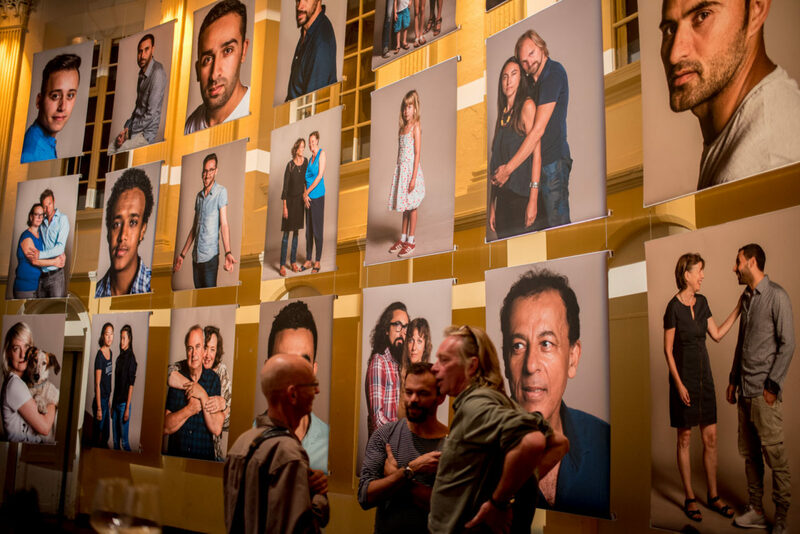 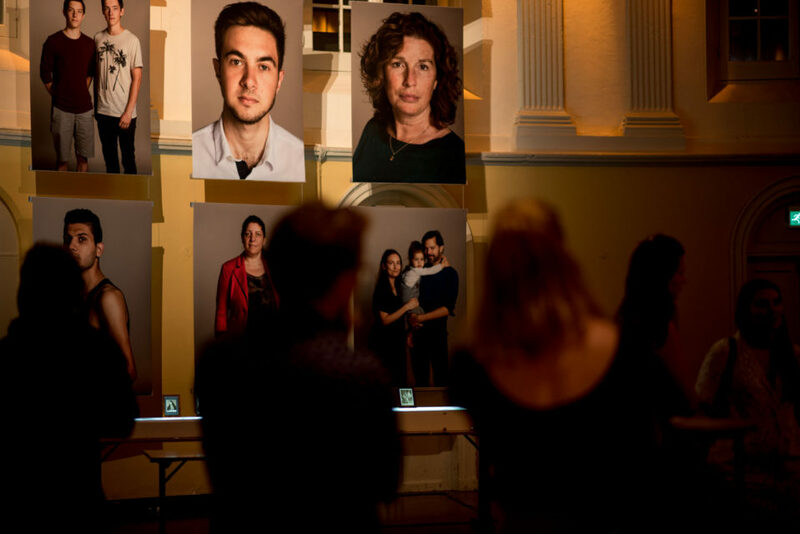 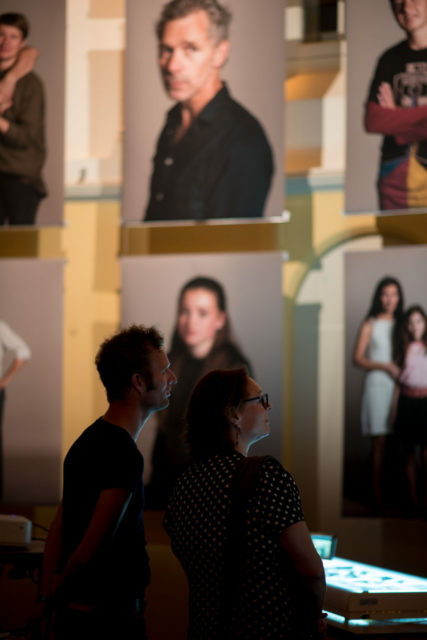 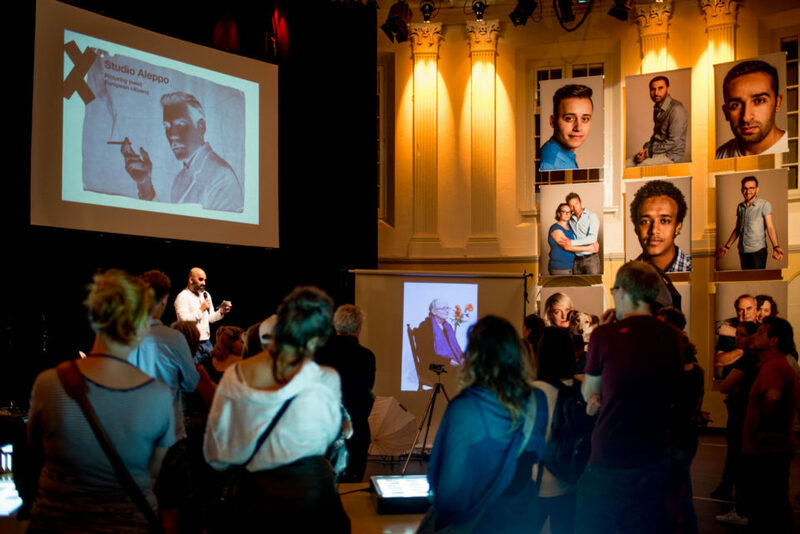 With more than 60 citizens of Amsterdam portrayed by Issa Touma and Koos Breukel, we couldn’t have wished for a better start. 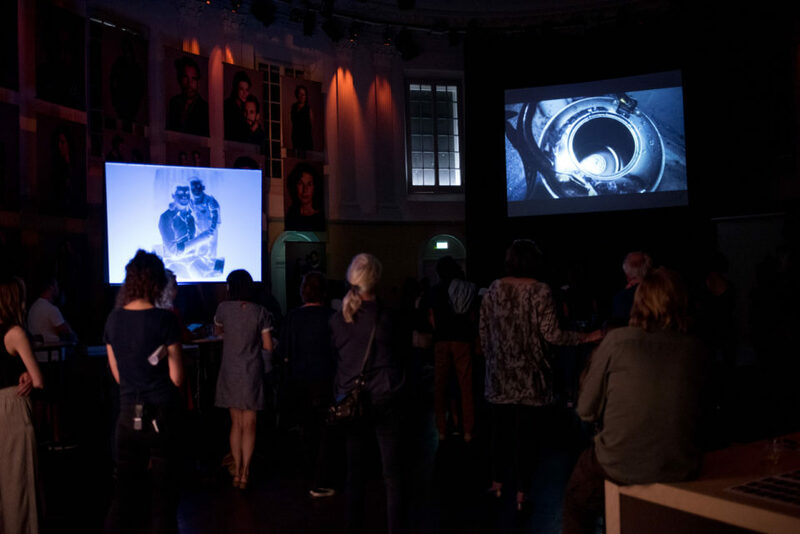 Scroll below for a selection of photos. 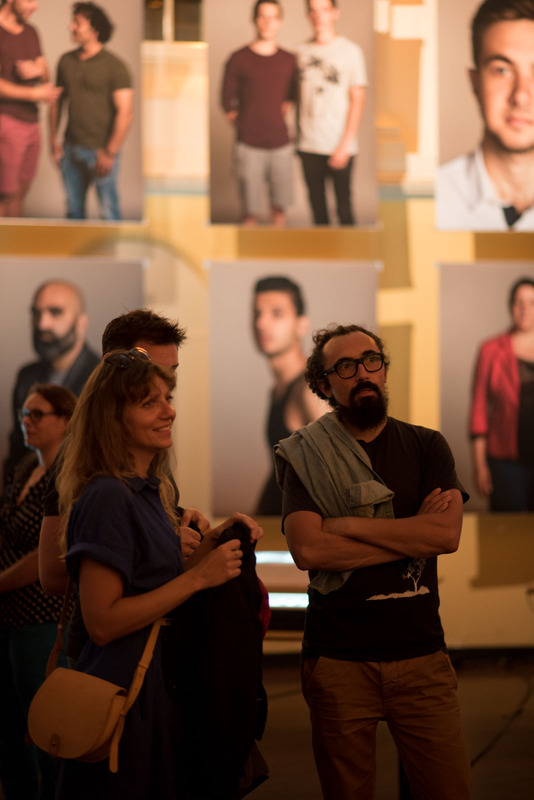 Studio Aleppo creates encounters between refugees and citizens in cities across Europe. 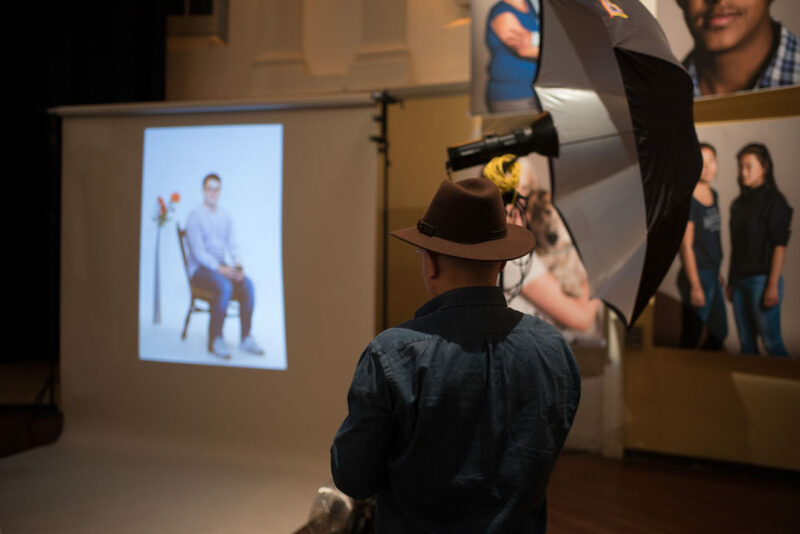 As a welcoming gesture, newcomers to a city or region are invited to have their picture taken at the photo studio of renowned photographers. The residents, also portrayed, pay (a limited fee) for both portraits. 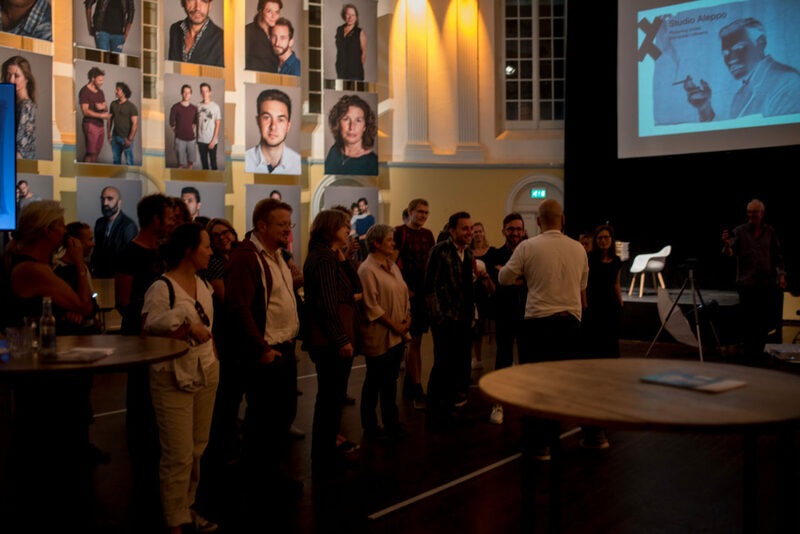 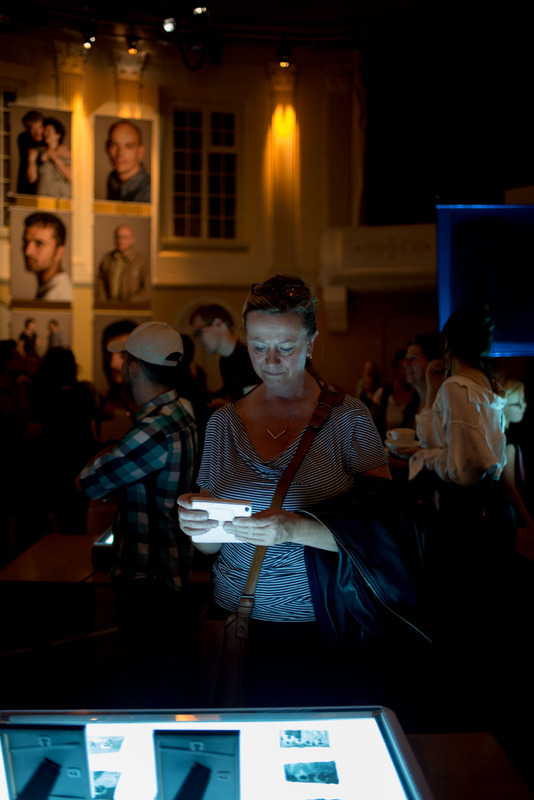 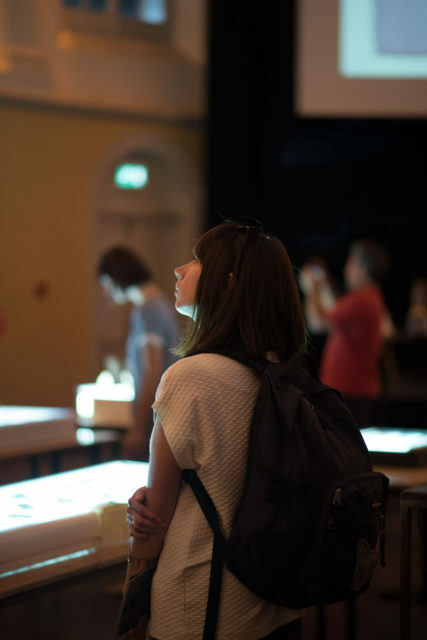 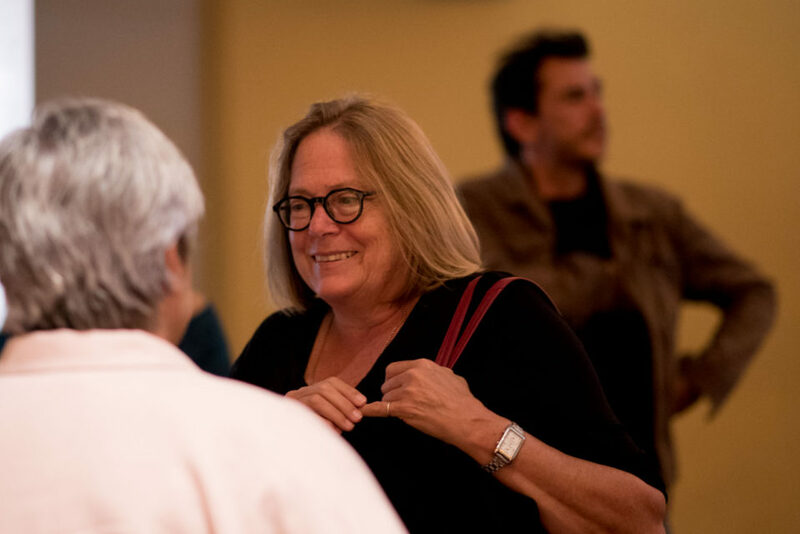 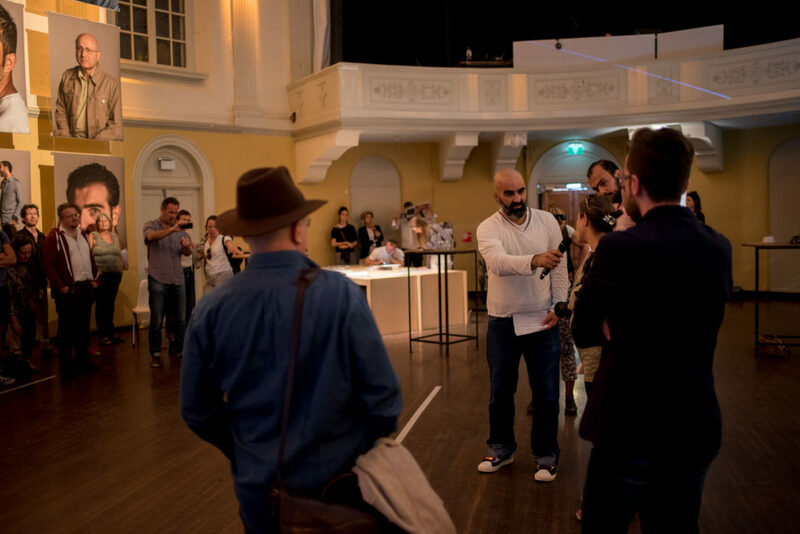 All participants are interviewed, their statements form the starting point of a conversation amongst each other and the public. 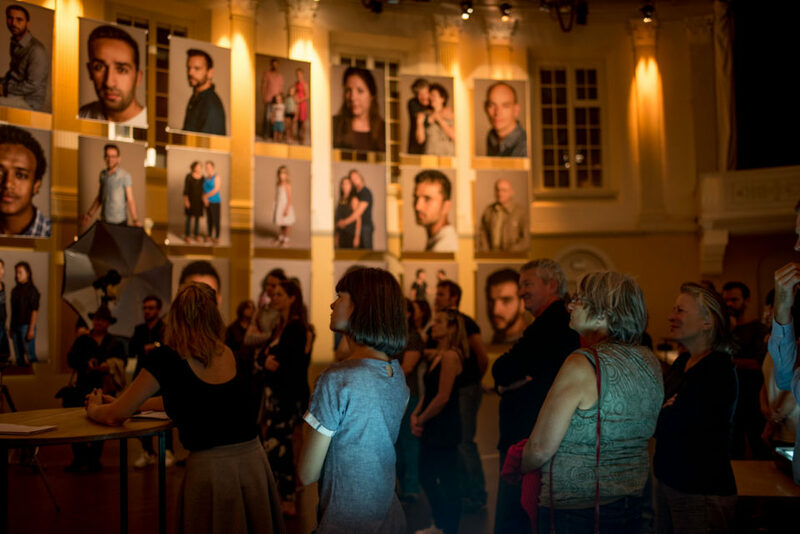 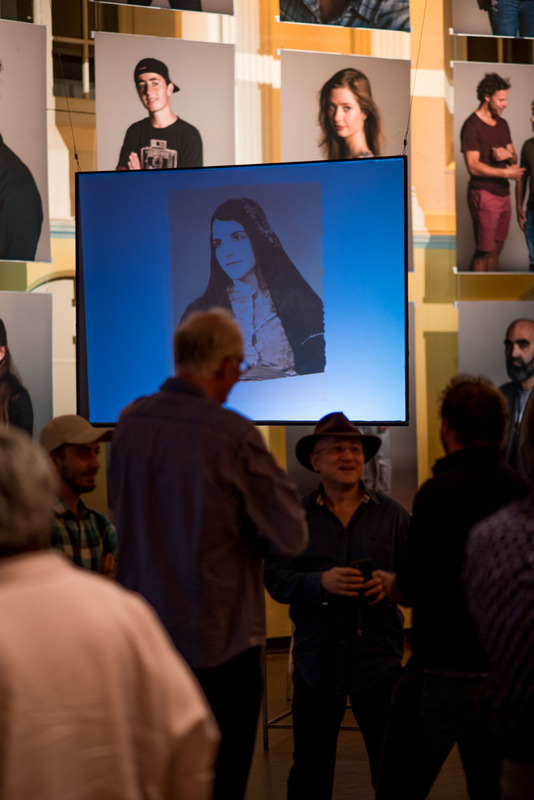 Printed in large format, the pictures form a portrait gallery providing another image of the new society that is taking form. 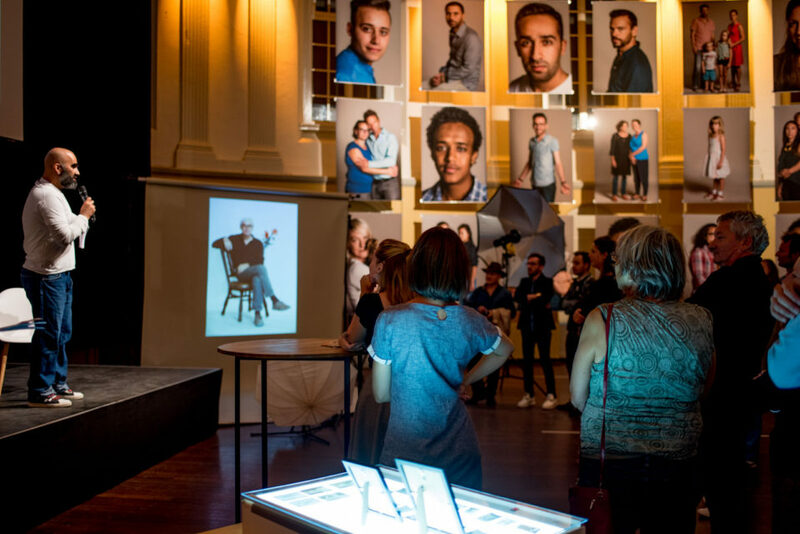 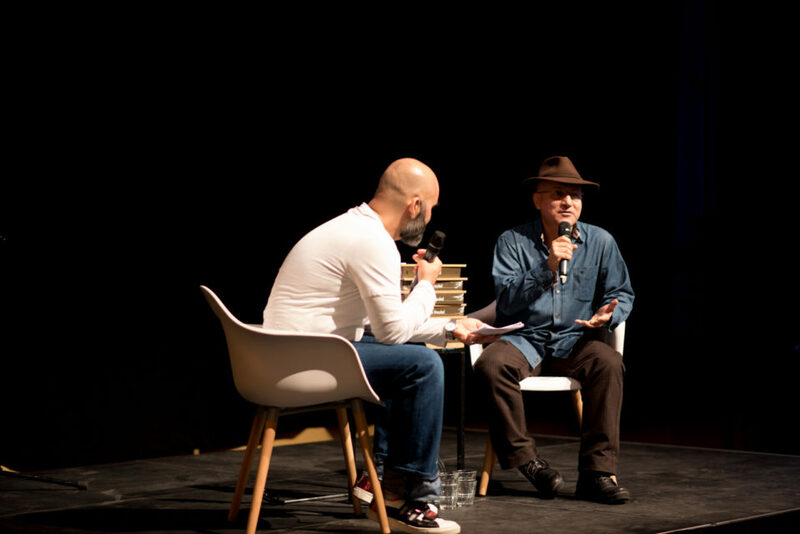 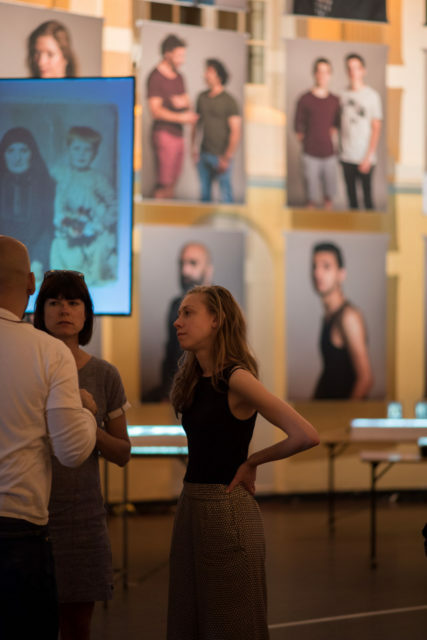 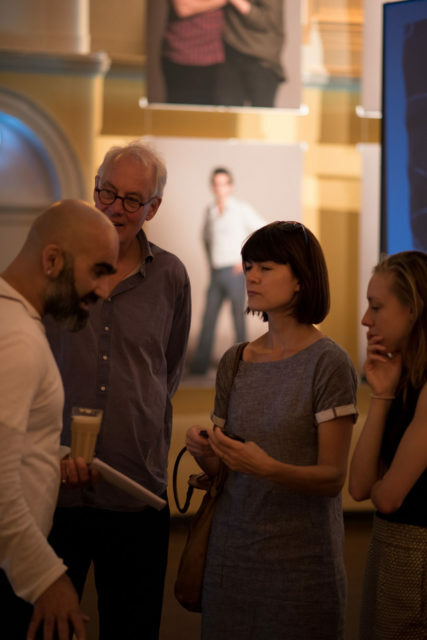 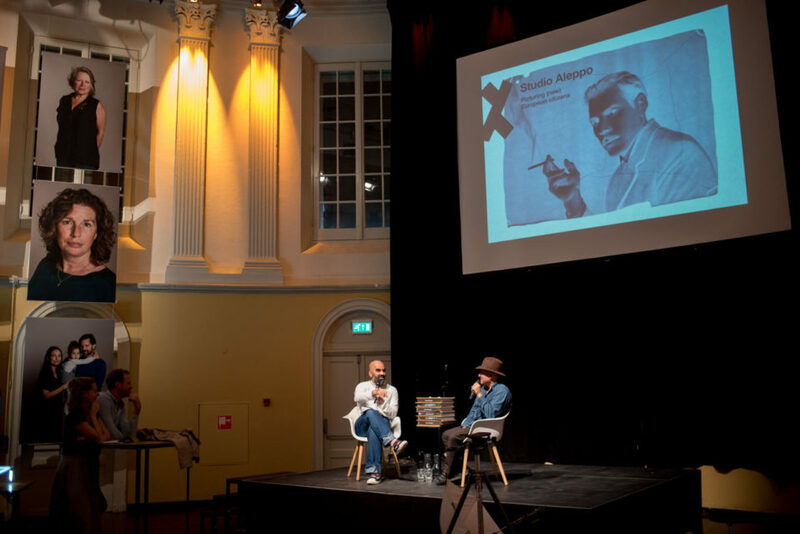 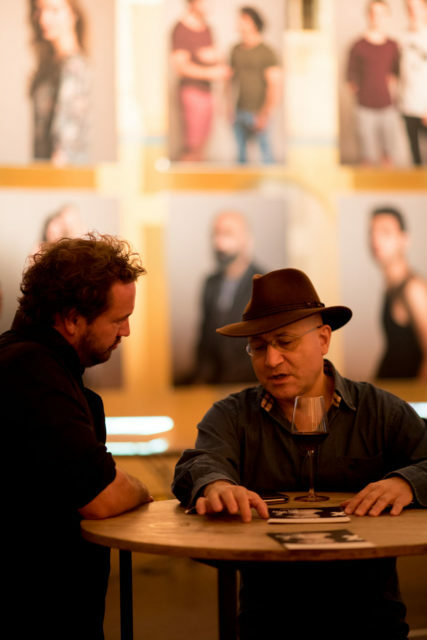 Amsterdam had the kick off of this European project with star photographer (and Amsterdam inhabitant) Koos Breukel and the Syrian photographer and festival organiser Issa Touma. During Unseen, Koos Breukel installed his photo studio on 17 and 18 September in Felix Meritis. 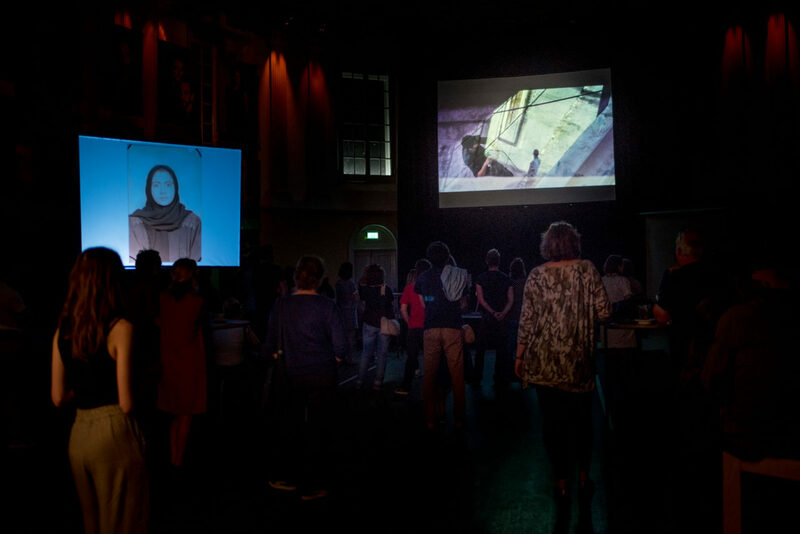 Issa Touma worked on 19 and 20 September in Spaarndammerbuurt. 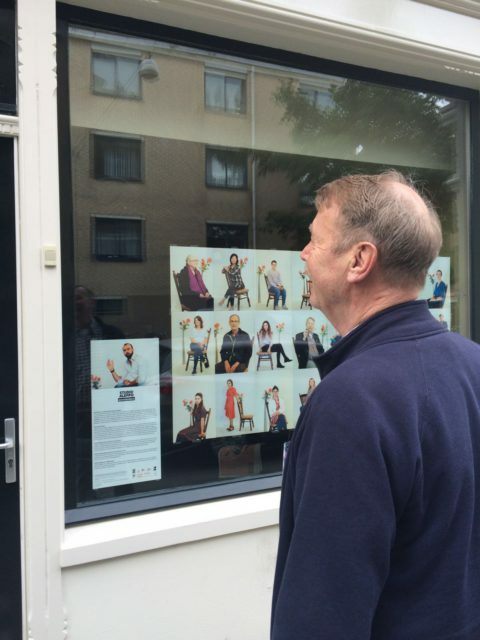 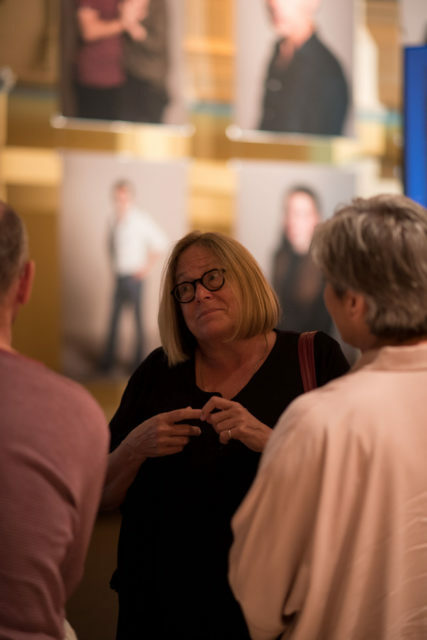 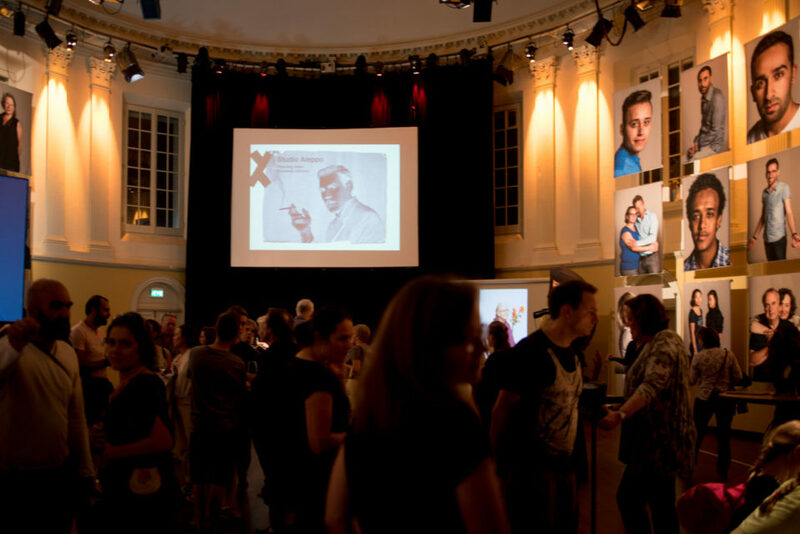 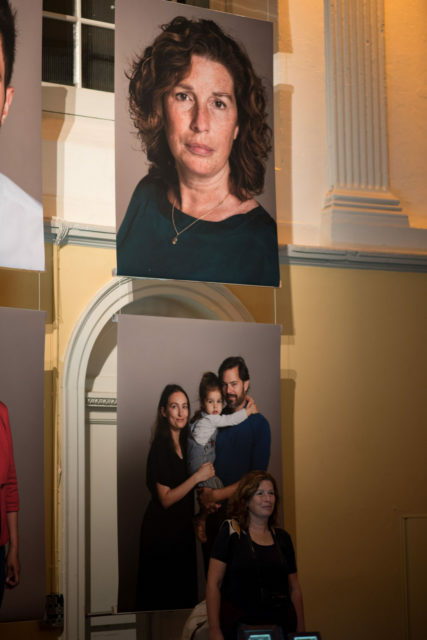 The resulting monumental portrait gallery, printed on site, is on view at Felix Meritis until September 25 and on the windows of Effe bij Moeder An. 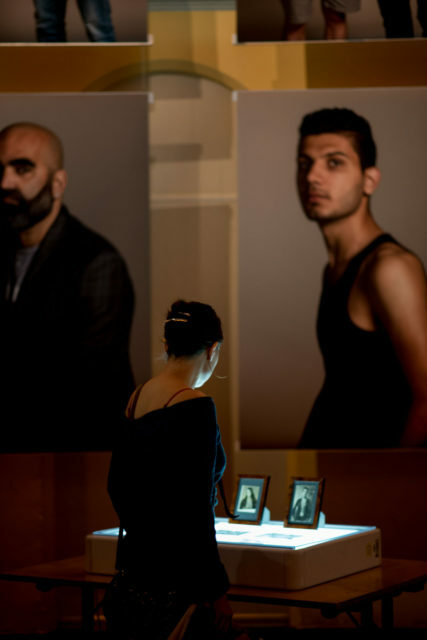 Studio Aleppo is a reference to the city where Syrian photographer Issa Touma found the remains of a photo studio amongst the rubble in the streets. 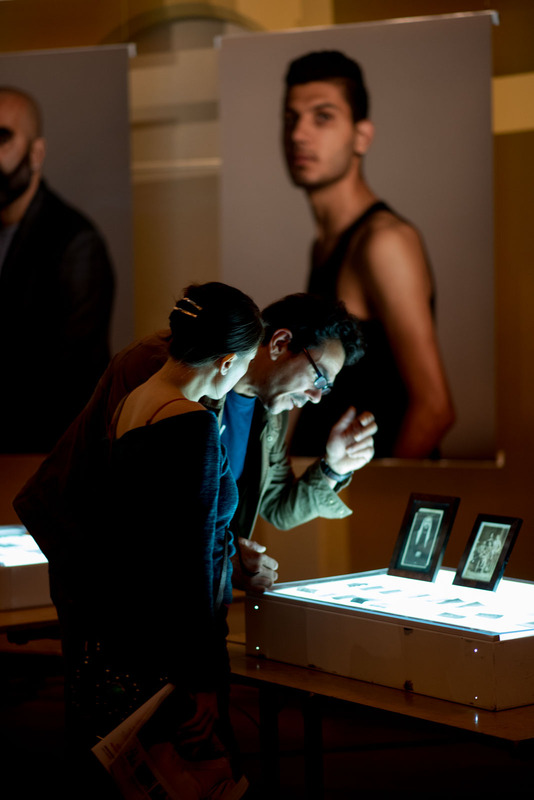 The (glass) negatives and prints are a symbol for societies of which the social texture has been destroyed by conflict. A selection of these images are on show at Felix Meritis.